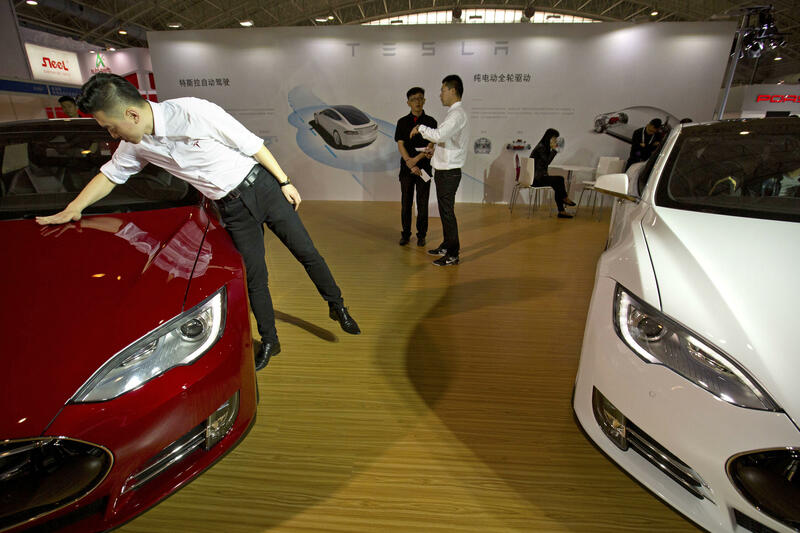 BEIJING -- Tesla faces new scrutiny in China about its vehicle Autopilot system after state television broadcast allegations that a man killed in a crash had activated the driver-assist feature of his car. An official interviewed in the report said the car’s Autopilot feature was active at the time of the crash. CCTV reported Gao’s family has sued Tesla​ in a Beijing court, though the lawsuit was not available in online court records. Officials at the court did not answer the phone on Thursday, a Chinese holiday. Tesla said in a statement that the car was too damaged in the wreck to transmit data to company servers, and that Gao’s family had not cooperated with the company’s investigation. “We have tried repeatedly to work with our customer to investigate the cause of the crash, but he has not provided us with any additional information that would allow us to do so,” it said. The nationally broadcast report was a potential setback for Palo Alto, California-based Tesla’s efforts to expand in China, the world’s largest auto market​. Tesla​ has explored building a manufacturing plant in China, but under national regulations that would require it to partner with a domestic company. Both in China and the U.S., Tesla has faced scrutiny and criticism over its marketing of driver-assist features. Last month, the company revised language on its Chinese​ website that it said would make clearer to drivers that its Autopilot system was not self-driving.